One of the greatest games ever created, certainly the most addictive. I don’t know of anyone who has not played this game in some form and if you owned a Game Boy this was probably the game you played more than any other. The game, originally designed by Alexey Pajitnov, is simple. A number of different shaped blocks (or Tetrominoes to give them their correct term) full from the top on your screen. You must guide them to the bottom and interlock the shapes to create a line. Once a line is created it disappears and so you continue. As you play, the pieces fall faster and thus your reactions must become quicker. Playing continues until the blocks reach the top. That’s it. It’s really that simple. Yet this was the game that kept us on our Game Boys for almost a decade. A game that despite the technological advances in design, graphics and so on is still distributed in its basic form today and as addictive and popular as ever. 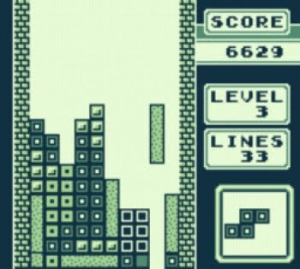 The appeal of Tetris was and is its innate simplicity. 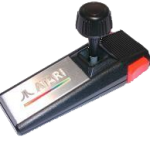 With so many games that required you to learn patterns, combos, button tapping and secrets, here was a game that was simple. Create lines. That’s it. There’s no underlying objective or skills that need to be expanded upon. You just need to move the pieces into position… though the ability to think a few steps ahead also comes in handy…sometimes. As well as the main game you also have a number of levels that can be played in which pieces have already been placed or the screen is blocked and so you have to create the allotted number of lines with these restrictions. This is a nice alternative to the main game or if you don’t have the time for an hour long slog on what is generally dubbed ‘The Marathon Mode’. This main mode was so popular because of the fact that in theory you could play forever (this has been proven false with the game crashing after you have reached a certain point), however the very idea that you could play indefinitely is an enticing one with fans of the game submitting scores and line totals with the current record standing at 593,286. Of course being 1989 on the Game Boy, the graphics are a little basic, but really that’s one of the things that makes it so good. 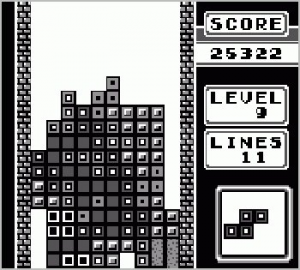 Any time they have attempted to create a more impressive visual style (Tetris Worlds on the PS2 comes to mind) it just doesn’t work simply because it is not necessary. However, what cannot be underestimated is just how good the music is for the game. Though it is only four tunes, all variations on classic Russian composers or themes, but they work their way into your psyche until you can hum every last note of it. I still cannot listen to Bach without thinking of Tetrominoes falling. 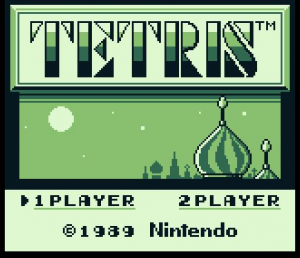 Tetris on whatever console you choose is the greatest, most addictive puzzle game ever. There is simply no other game that has had the same affect. Sure other games are more technically advanced or harder to master, but no game is so universal as this one. Of course the best way to experience it is the Game Boy version it and with thirty five million copies sold; it must have done something right.